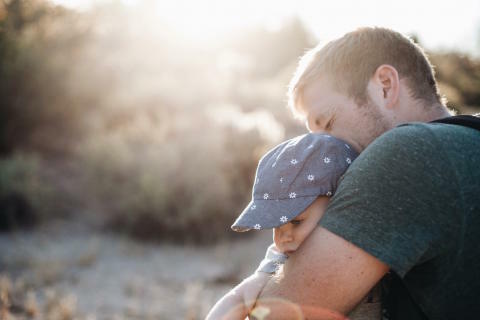 Ahead of Fathers’ Day, the Campaign Against Living Miserably (CALM) has released the results of a poll showing that men are just as likely as women to struggle in the first year of parenthood. An equal proportion (3%) of mothers and fathers reported feeling suicidal, even momentarily, in the first year of parenthood, which often involves a focus on women’s health and wellbeing. However, men are three times more likely than women to take their own life, with men accounting for 76% of all suicides in the UK (ONS). CALM, an award-winning charity dedicated to preventing male suicide, commissioned the research to learn more about the gender bias in how parents are perceived and supported. In January the government announced a £290 million investment in specialist mental health care for mums before and after having their babies. CALM’s research reflects this difference in how people see the importance of mothers and fathers. The poll revealed that 93% of the population said mothers play a "very important role" in the lives of their children, compared to 84% who said the same about fathers. The biggest discrepancy in how mothers’ and fathers’ roles are perceived was seen among younger people. Whilst 84% of 16-24 year olds said they thought mothers play a “very important” role in children’s lives, 73% said the same of fathers. Suicide is the biggest single killer of men aged under 45 in the UK. There were 6,109 suicides in the UK in 2014 of which 76%, or 4,623, were male (NISRA, GRO, ONS 2014).